Seagrass beds provide important habitat for fishes and invertebrates in many regions around the world. 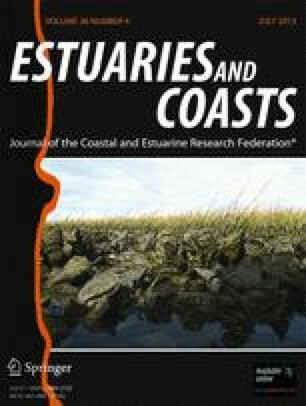 Accordingly, changes in seagrass coverage may affect fish communities and/or populations, given that many species utilize these habitats during vulnerable early life history stages. In lower Chesapeake Bay, seagrass distribution has contracted appreciably over recent decades due to decreased water clarity and increased water temperature; however, effects of changing vegetated habitat on fish community structure have not been well documented. We compared fish community composition data collected at similar seagrass sites from 1976–1977 and 2009–2011 to investigate potential changes in species richness, community composition, and relative abundance within these habitats. While seagrass coverage at the specific study sites did not vary considerably between time periods, contemporary species richness was lower and multivariate analysis showed that assemblages differed between the two datasets. The majority of sampled species were common to both datasets but several species were exclusive to only one dataset. For some species, relative abundances were similar between the two datasets, while for others, there were notable differences without directional uniformity. Spot (Leiostomus xanthurus) and northern pipefish (Syngnathus fuscus) were considerably less abundant in the contemporary dataset, while dusky pipefish (Syngnathus floridae) was more abundant. Observed changes in community structure may be more attributable to higher overall bay water temperature in recent years and other anthropogenic influences than to changes in seagrass coverage at our study sites. The online version of this article (doi: 10.1007/s12237-013-9586-3) contains supplementary material, which is available to authorized users. We thank many people for helping with field work, including Jacques van Montfrans, Ryan Norris, and many VIMS graduate students. David Wilcox provided GIS and seagrass change analysis assistance. We thank Wendy Lowery for compiling VIMS Juvenile Fish Trawl Survey data and for providing useful summaries. Ken Heck provided helpful insight and review and two reviewers provided additional constructive advice. Funding was provided in part by the Virginia Marine Resources Commission Recreational Fishing Advisory Board and the VIMS Hunter B. Andrews, Jr. Fellowship to K.L.S. This paper is contribution no. 3263 of the Virginia Institute of Marine Science, The College of William & Mary. NOAA Fisheries. 2012. Annual Commercial Landing Statistics. NOAA Office of Science and Technology, Commercial Fishery Landings, http://www.st.nmfs.noaa.gov/st1/commercial/index.html. Accessed October 22, 2012.